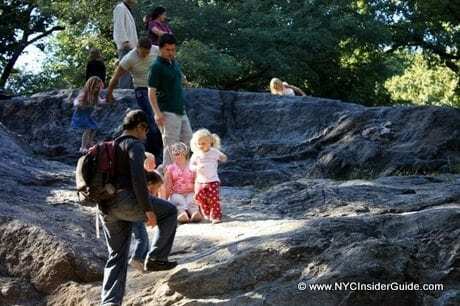 Things to do in New York with Kids include tours, activities, attractions, landmarks and lots of free kid friendly things to do in NYC. 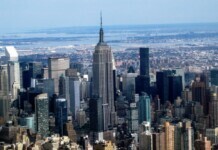 Choose from the classics, like Central Park and Rockefeller Center, landmarks like Statue of Liberty and the Empire State Building, fun experiences such as Madame Tussauds Wax Museum or sleeping at the Museum of Natural History and so much more. 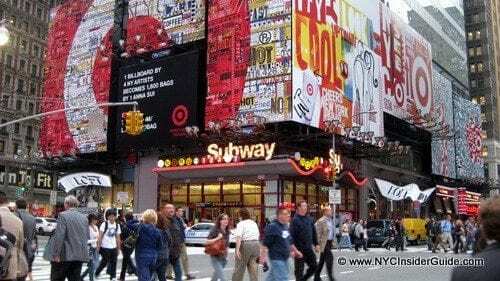 Make sure to also check our Visiting New York with Kids guide covering Broadway and Off Broadway shows, riding the subway, annual kids events, discounts, best hotels for kids, kids vacation itineraries and much more. 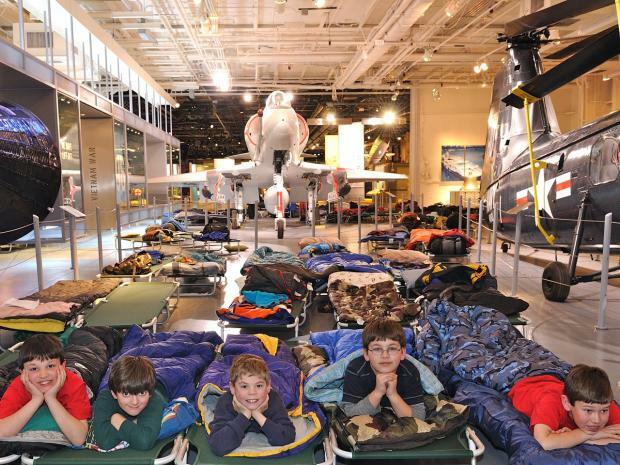 We loved the Intrepid! We learned a ton about different old and new war planes and ships and got to take a lot of cool pictures with all of them. The museum itself is on the the former aircraft carrier USS Intrepid, which fought in World War II, surviving five kamikaze attacks and one torpedo strike. Then it went on to serve in the Cold War and the Vietnam War. Four blocks away, you’ll want to check out a Circle Line or Beast Speedboat ride cruise. 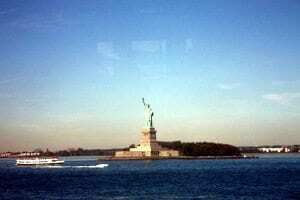 Kids LOVE taking a boat cruise around NY Harbor, where you can get up close views of the Statue of Liberty, One World Trade Center, Ellis Island, the Brooklyn Bridge and more. In warmer months, you’ll definitely want to take the 30 minute Beast Speedboat Ride and all year round, you can choose from several other Circle Line Cruise options. 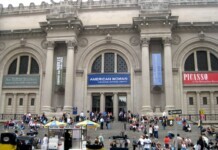 Many New Yorkers think this is the best of all our Museums and it offers dozens of exhbits, shows and tours for every kid and adult. Dinosaurs, planets and astronomy, the Planetarium and Space Center, animals, mammals, spiders, birds, costumes, history of humans and so much more. 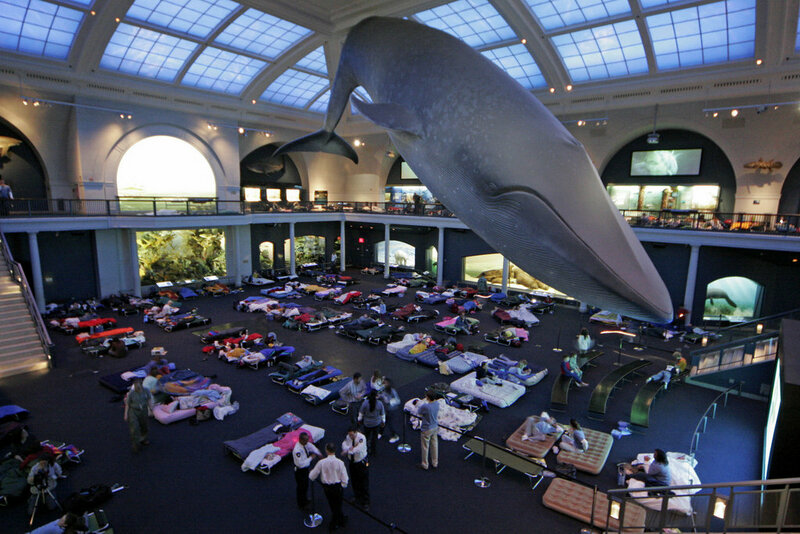 A visit to the Natural History Museum is a must-do in NYC! 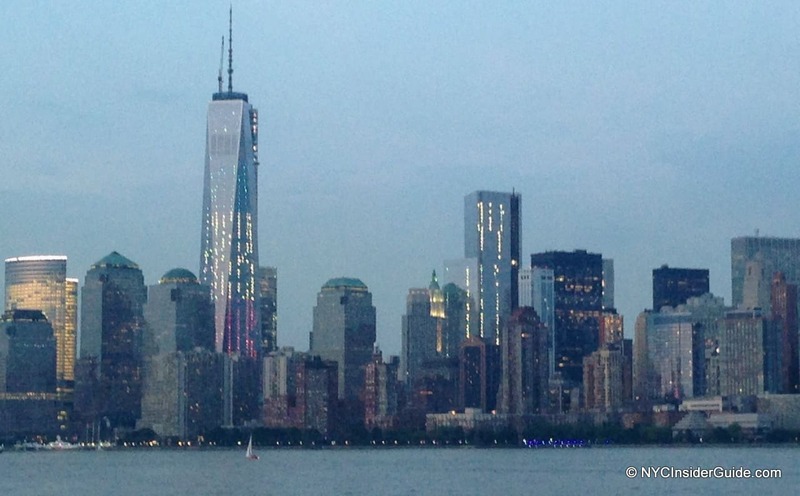 You can see the NYC Skyline from any one of three majestic views. 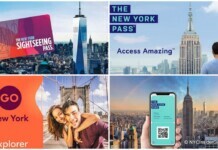 Choose from our newest and most modern, One World Observatory (100-102 floors), the Top of the Rock (67-70 floors), with a really cool elevator experience and/or the classic Empire State Building (86 and 102 floors). You can’t go wrong with any of these views, but seeing the city from so high up it looks like a lego set is a don’t miss! Luckily, there are dozens of ways to see the Statue of Liberty. 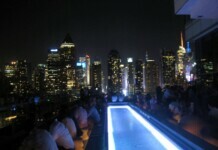 You can just stand on the southernmost tip of Manhattan and look at her all you want. You can take the free Staten Island Ferry, about 1.5 hours total and get a fairly close view from the water. 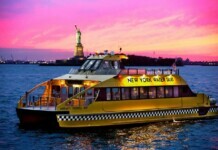 Another option is a boat cruise to Liberty Island to walk around. And the ultimate visit, of course, would include going into the Statue of Liberty Museum and/or climbing to Lady Liberty’s crown. 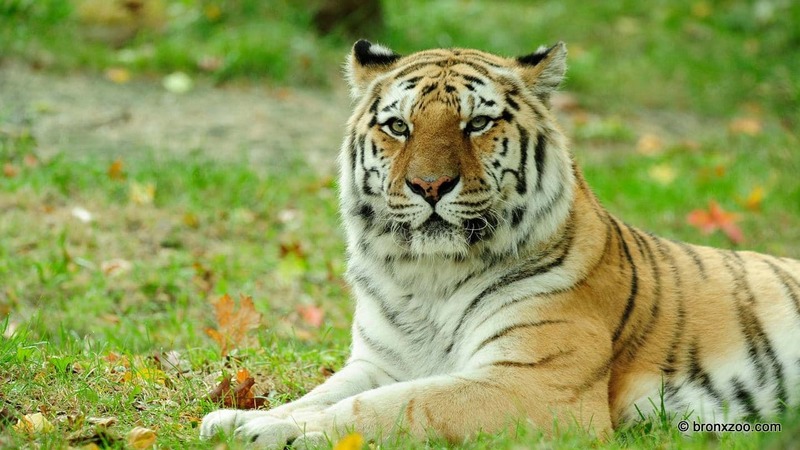 The world-famous Bronx Zoo boasts more than 6,000 animals, from aardvarks to zebras, across 265 acres. General admission allows you access to many of the exhibits, but the Total Experience Ticket is recommended to see rides, attractions and special exhibits. On Wednesdays, the Bronx Zoo is pay-what-you-wish and all proceeds support their animal care work. Using a NY Discount Pass can save your family tons of money in NYC, while also helping you budget. 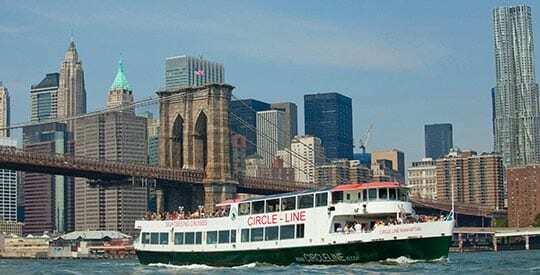 The following basics are included or offered as a choice on all the major passes: Empire State Building, Intrepid Museum, Museum of Natural History, Top of the Rock, Statue of Liberty Cruise, Circle Line Sightseeing Cruise and Hop On Hop Off Bus Tour combo packages. 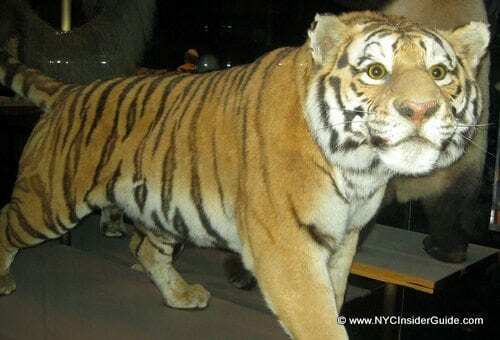 Below are a few highlights of the non-standard kid and family-friendly attractions and tours included in the NY Sightseeing Passes. We’ll start with the basics, which you probably already know. 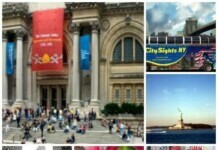 Some of our most popular attractions are favorites of both kids and adults. Get your free Central Park map and learn about taking a leisurely Central Park Bike Tour. When my friend, Kimberly, visited with her two girls, she said, "The Highline was a Highlight! We LOVE THE HIGHLINE." New York City’s newest public park, in the Meatpacking District, along the water, is an elevated walkway, above street level, made from converted railroad tracks. The benches are hooked up to the original train tracks and move sideways along the tracks. Kim’s girls climbed and jumped around on the benches and loved pressing their faces against the glass in the amphitheater overlooking 9th Avenue. "We couldn’t pull them away from here." Get your free Meatpacking District map and read more of Kim’s NYC vacation with young girls. Almost all visitors love Times Square. You can browse or shop through dozens of stores: Disney, Forever 21, Sephora, M&M’s World, Hershey’s Chocolate World, Toys R Us, Yankee Clubhouse store and dozens of others. Kids can take photos with all kinds of characters, from superheros to Sesame Street to Disney Princesses. And if just walking around for free isn’t enough, you’ll want to check out Madame Tussauds Wax Museum, Ripley’s Believe it or Not and Bowlmor Lanes, all kids’ favorites. Get your free Times Square map. 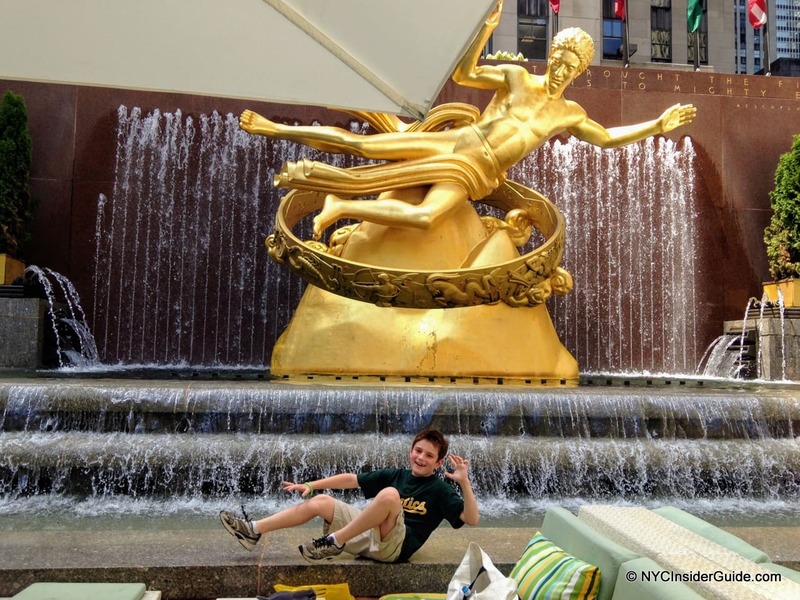 Clearly, I haven’t nearly been able to cover all the fun things to do in NYC with kids. 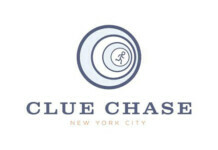 Until I do, please check a few of my favorite local business just for kids in NYC. All run by local natives, and people I’ve known 30+ years, who have and love kids! Karma Kids Yoga, founded and managed by my awesome friend, Shari Vilchez-Blatt with loads of help from her precious daughter, Layla Moon. No one in NYC does Kids yoga better than Karma Kids! 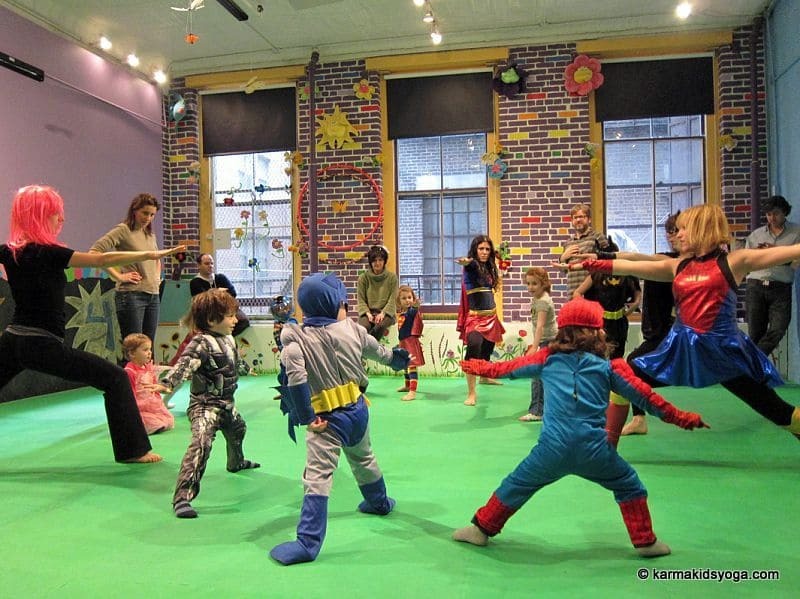 Classes include Super Hero Yoga (above), Storytime Yoga, Pajama Glow-in-the-Dark Yoga and tons more! Shari is THE kids yoga guru in the US, and travels all over the world teaching other yogis how to teach kids. Apple Seeds NYC – founded and run by two Allisons and their husbands (Alison, Allison, Bobby and Craig), who each have a set of twins…and then some! As all of their children are born-and-bred Manhattanites, their playspaces are designed to encourage kids to explore, experiment and flourish. PLUS, their playspaces have awesome NYC themes, like Apartment Buildings, Skyscrapers, NYC Delis and Taxi Cabs! 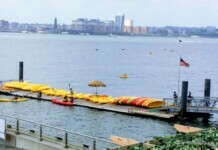 Their offering is generally for members, but you can’t beat their safe, fun NYC playgrounds and their custom birthday parties.